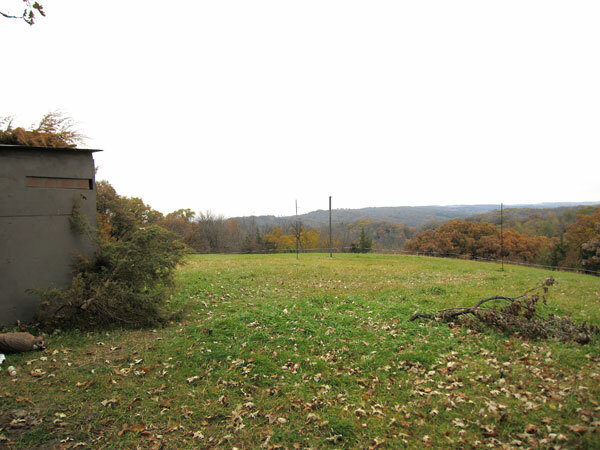 View from the banding blind looking toward source of migrants (north). 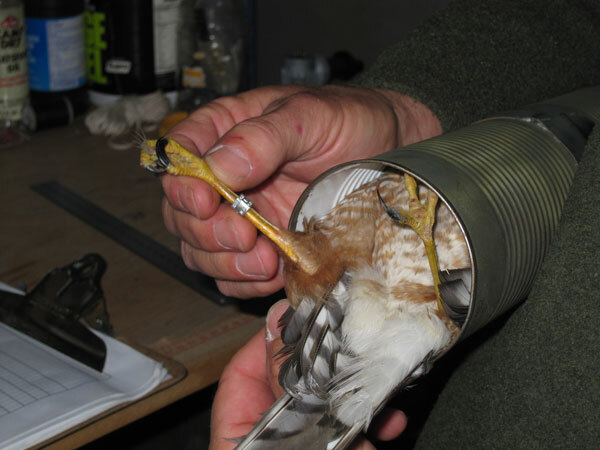 Both bow and mist nets are used in the banding operation. 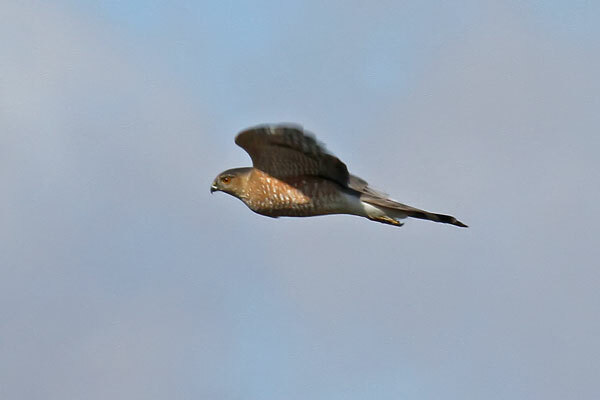 The hawks fly into the nets - we hope! 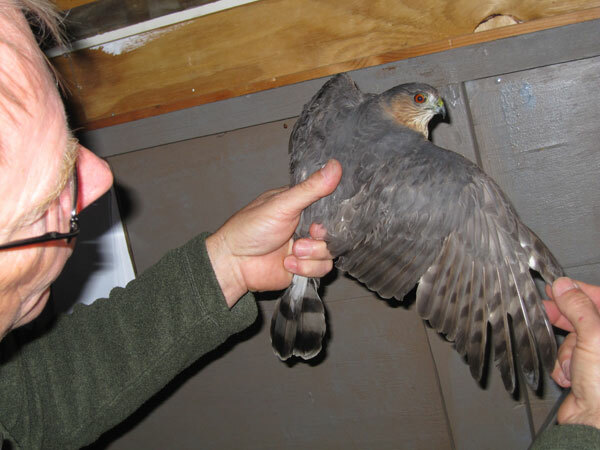 The blind where, after a bird is captured, it is taken for weighing, measuring, and banding before release. 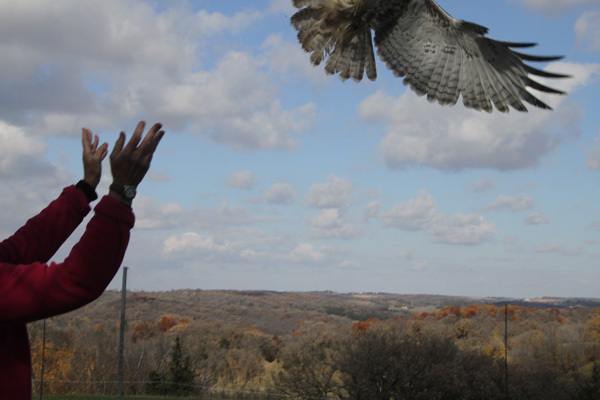 The Hitchcock Nature Center Hawkwatch began in 1992, when Loren and Babs Padelford founded the fall hawkwatch, counting migrating hawks from the deck of the HNC Lodge. 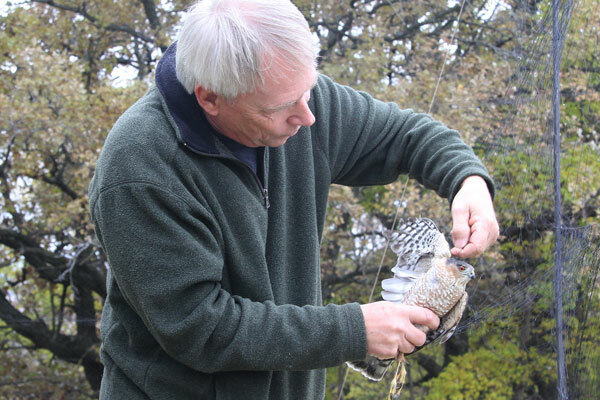 In recent years, the hawkwatch has developed a larger volunteer pool, employed a weekday counter, and now uses a new 50-foot tower adjacent to the lodge to conduct counts. 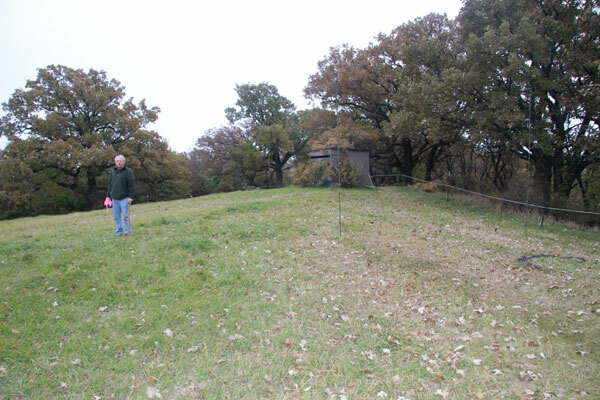 Hitchcock Nature Area was the first designated Iowa Important Bird Area. 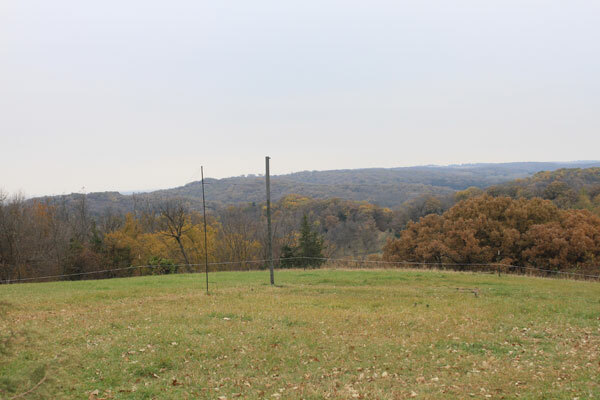 Hitchcock Nature Center is only 20 minutes from Omaha, just south of Honey Creek, Iowa. 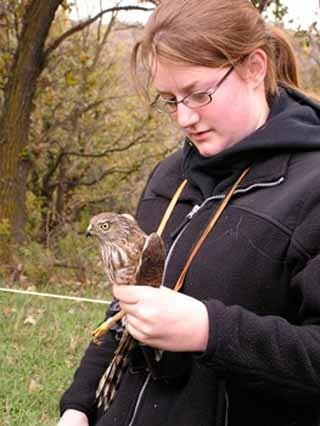 Although located in Iowa rather than Nebraska, many of the hawkwatch volunteers are from Nebraska. Counting is part-time between 15 August and the beginning of September, but is full-time (daily) between 1 September and 20 December. Flights generally begin around 10 am and end around 6 pm during the peak of the fall season in late September and in October, but weather conditions can alter this daily timetable dramatically. 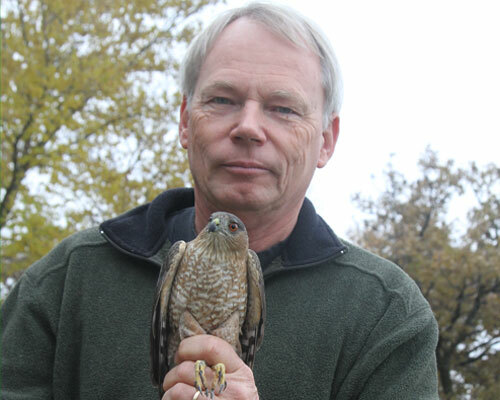 Hawkwatch festivals are held at HNC in October and November annually. 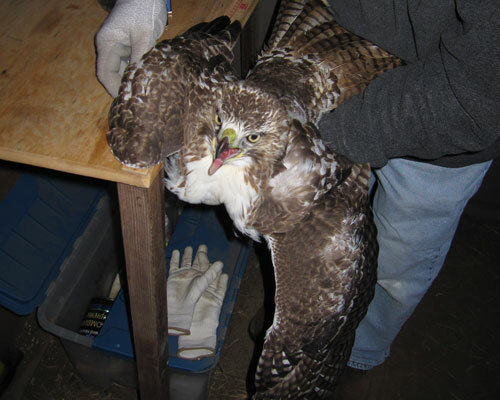 Starting in 2007, during September and October, a raptor banding station also began collecting information on migrating raptors not available through hawkwatching. 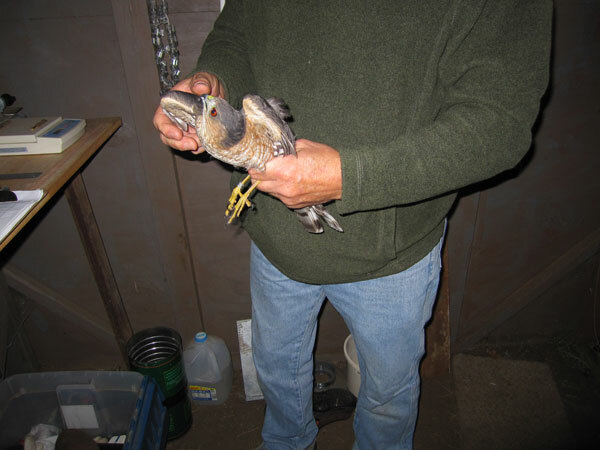 Primarily Red-tailed, Cooper’s and Sharp-shinned Hawks are captured, banded, and released. 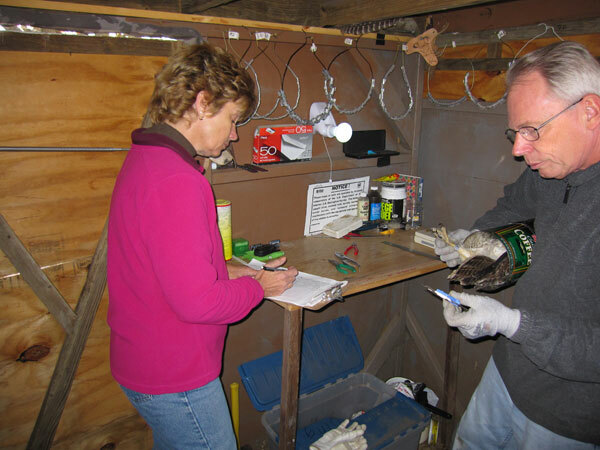 In October of 2009, banding of nocturnal migrating Saw-whet Owls was initiated. 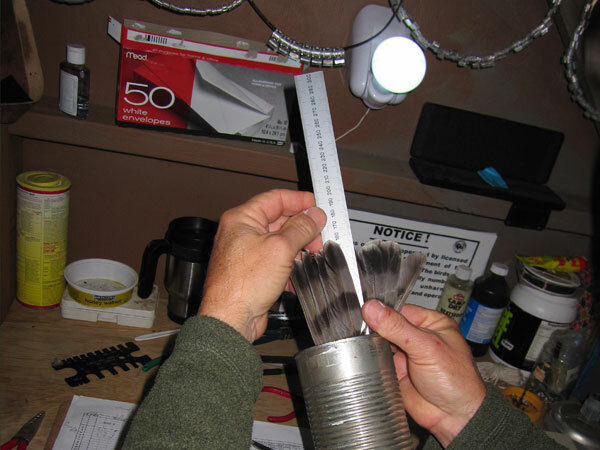 See the slides of the banding operation below. 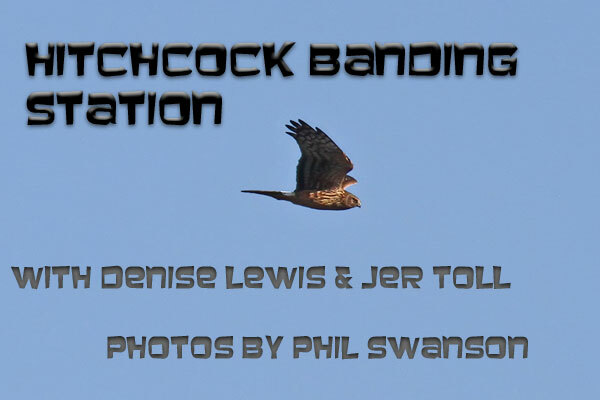 All photos in this site are copyrighted by the original photographer and may not be reproduced without permission.